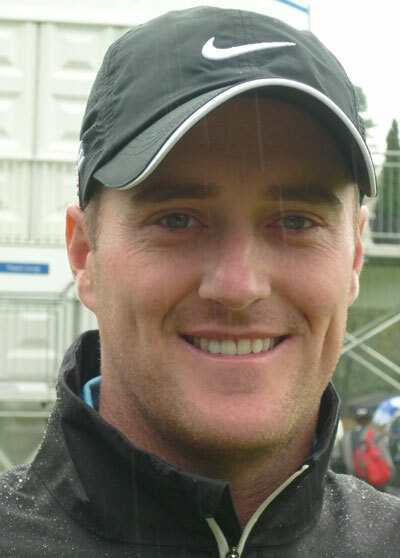 Johan Edfors won the first professional tournament held at the Black Mountain Golf Club – the 2009 Asian tour Black Mountain Masters. 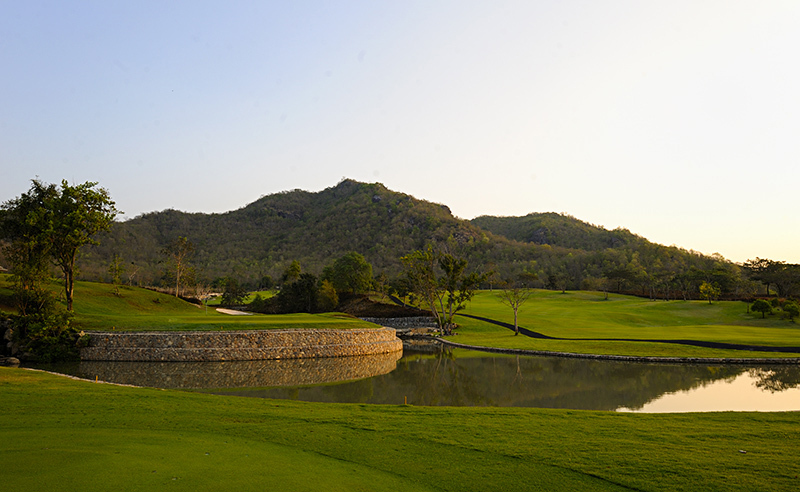 This week sees the inaugural True Thailand Classic, which will be a co-sanctioned event between the Asian and European tours and in preparation for this event the course has been toughened up with firmer greens and thicker more clingy rough. The Black Mountain Resort and country club is situated close to the beach resort of Hua Hin. The 18-hole and 9-hole par three courses at Black Mountain were designed by Australian Phil Ryan, with the main course sitting within a mountain valley where natural creeks have been incorporated into the design. 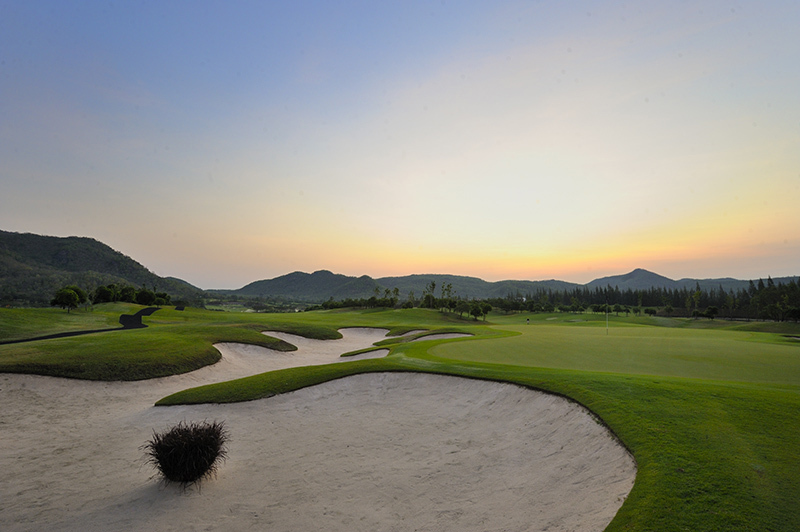 The course has many water hazards and the distinctive native red grass frames many of the holes. Two of the more iconic holes are the par four 4th that has a lake surrounding an island green and the waterfall to the left of the green at the short 11th hole. But most golfers see the long par five 6th hole as the courses signature hole. Played from tees carved into a hillside it plays downhill all the way to a green that is protected by a lake. The Thai Royal family used to holiday at the beach resort at Hua Him and I am sure some will be in attendance this week. Marc Warren 14/1 – with Bet365 – has got to fancy his chances this week in a weakened field. Marc comes into this tournament on the back of three Top 15 finishes, one being his runners-up finish at the Qatar Masters and a final round 68 saw him move up the leaderboard at last week’s Malaysian Open. With his win at last year’s Made In Denmark tournament and being in contention several times last season, Warren knows it will be a big chance to get an early win to his name. 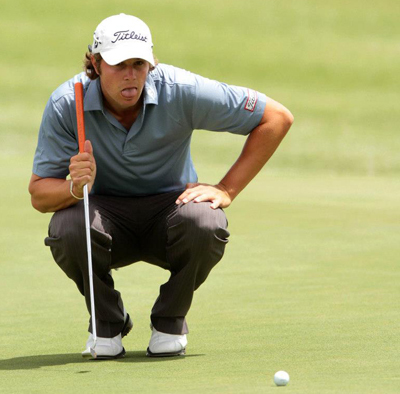 Peter Uihlein 25/1 – with SportingBet – has been creeping about lately but not making that final day charge needed to finish things off, and the Dubai Desert classic encapsulates this where he started with a bang opening up with a 65 only to get progressively worse each day 69, 70, 71. And again at last week’s Malaysian Open where he had a third round 65 only to follow that up with a 73 and slide back down the leaderboard. But it also shows the American is not that far away from challenging and with this week’s field I think he will be in one of the final pairings come Sunday. Alejandro Canizares 33/1 – with Ladbrokes – will come into this week in confident mood after his Top 5 finish at last week’s Malaysian Open, he will be disappointed with his final round 74 that saw him slip out of contention. The good news for the Spaniard is that this is his second Top 10 finish and he has only been outside the Top 15 once this year from four starts and with a weakened field I expect to see him challenging this week. Scott Hend 33/1 – with PaddyPower – finished last season’s order of merit on the Asian Tour in 4th place and after his Top 15 in last weekend’s Malaysian Open currently sits in seventh place. Scott won the Hong Kong Open at the tail end of last season and after two missed cuts leading up to the Malaysian Open the Australian seems to have got his game back and a third round 66 helped him move up the leaderboard. Hend has made the Top 5 on the Asian Tour order of merit four times out of the eight years he’s had his card. Scott has won in Thailand before taking the 2013 Chiangmai Golf Classic and I think he will do well here again this week. This is Prom Meesawat’s 50/1 – with SportingBet – home course and although competing in home events can add pressure to a player I think Prom will be able to handle this the same way his father Suthep Meesawat did back in 1991 when he become the first Thai national to win the Thailand Open. 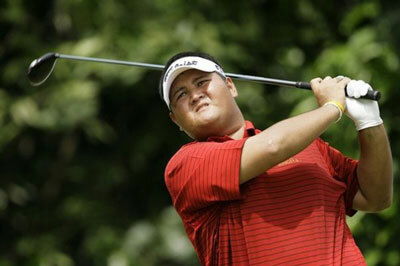 Prom had a Top 25 finish at last week’s Malaysian Open which was only his second start of the year. Nicknamed the ‘Big Dolphin’ due to his burly physique I think we will see Meesawat in the thick of it come Sunday. There are two good outside bets this week first is Australian golfer Wade Ormsby 80/1 – with Ladbrokes – who had a good finish at last weekends Malaysian Open firing a final round 67 to finish just outside the Top 10. Wade finished last year off with a couple of Top 10s and looks to be settling down again and playing some good golf. The other is India’s SSP Chawrasia 80/1 – with Bet365 – who currently sits in forth place on the Asian Tour order of merit and won last years Panasonic Open India. SSP had four Top 25 last year on the European Tour one of which was his Top 5 finish in the Hong Kong Open and he also had a Top 10 finish at last weeks Malaysian Open.